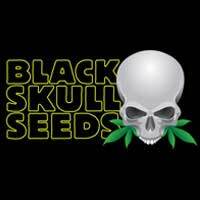 Diesel Automatic feminised cannabis seeds by Royal Queen Seeds is a cross between New York City Diesel and Lowryder 2. 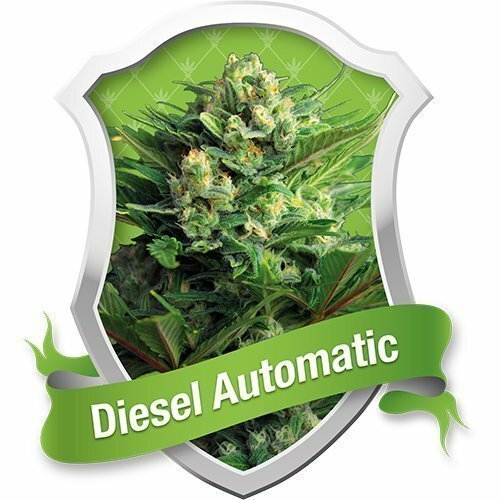 Diesel Automatic, like other newer autoflowering hybrids, has a superior flavour and increased yield. 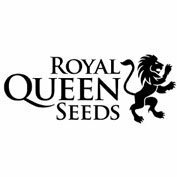 This powerful automatic flowering strain by Royal Queen Seeds takes about 8 weeks for the whole growth cycle and can grow almost anywhere. Diesel automatic feminised cannabis seed strain has a strong aroma and has a diesel like taste although not too overpowering. This powerful, automatic flowering Diesel hybrid can go from 0 to 60 grams in only 60 days. This strain is a hybrid of the classic New York City Diesel crossed with the awesome Lowryder #2. Like all the newer autoflowering hybrids, it has an improved yield and better flavour compared to many of the original autoflowering strains. It is a fast and powerful strain that can achieve up to 60 grams per plant and takes around 8 weeks for the whole growth cycle. 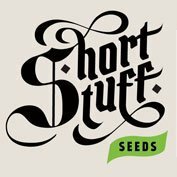 This means it can grow almost anywhere, and is ideal for small grow tents, cupboards or guerrilla grows outdoors. It normally grows to a height of around 50 to 70 cm indoors, but can grow larger if given space or grown outdoors. Diesel Automatic has a strong odour. Its flavour is mainly the chemical, fuel-like diesel taste but not quite as overpowering. There is also a slight citrus aroma in the buds. If you like New York City Diesel but don’t have the time and space “ then Diesel Automatic is the perfect strain for you.